0.1 Osun State Polytechnic, Iree (OSPOLY) has just released the First and second batch Admission list of candidates that have been offered admission into Higher National Diploma (HND) programme for the 2018/2019 Academic Session. Osun State Polytechnic, Iree (OSPOLY) has just released the First and second batch Admission list of candidates that have been offered admission into Higher National Diploma (HND) programme for the 2018/2019 Academic Session. The Osun State Polytechnic, Iree (OSPOLY) First and second batch Higher National Diploma (HND) Admission list Is out and published online, candidates that applied for admission into HND programme in Osun State Polytechnic, Iree (OSPOLY) can now use the method below to check their admission list. Kindly note that all candidates who applied for Higher National Diploma (HND) Programme in OSPOLY iree are to visit Ospoly Microfinance Bank, Iree or its branches at Ayetoro, Osogbo or Isokun round about, Ilesa to purchase Notification Card at Nine hundred naira only (N900). 1. Go to OSPOLY Iree portal at: http://applications.ospolyiree.com/student/Default.aspx. 2. Click on Check Admission Notification. 3. Provide your Application Number and Password in the required columns. 4. 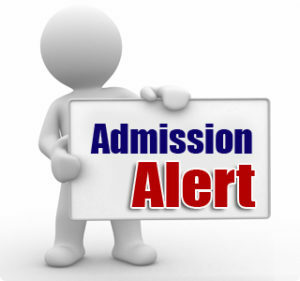 Then you click login and enter your Notification card details to access your OSPOLY Iree HND admission status. Always share on Facebook Using The Facebook Share Button, You Might be helping Someone, Somewhere.